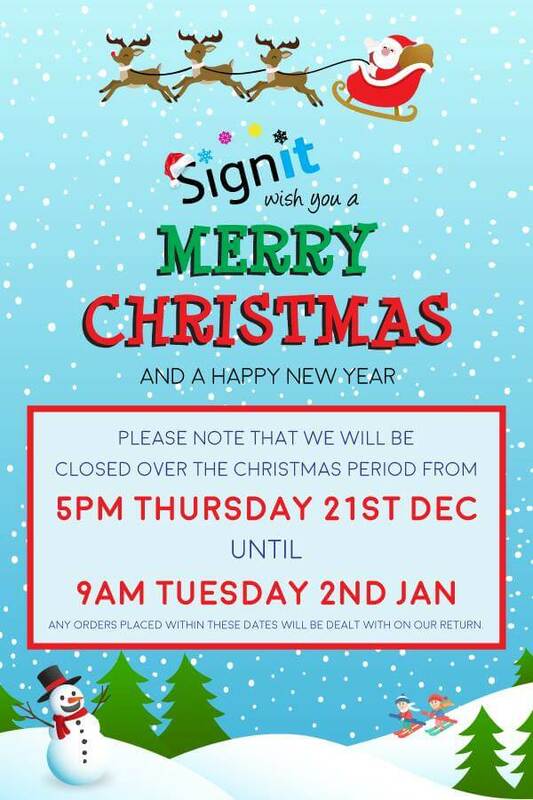 Everyone here at Sign It would like to wish all our valued customers a very Merry Christmas and a Happy New Year! 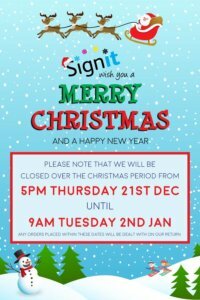 Please note that we will be closed over the Christmas period from 5pm on Thursday 21st December and we will not reopen until Tuesday 2nd January 2018. Any orders or enquiries made within these dates will be dealt with upon our return in the new year.